These are the top 50 materials moments in history as voted upon by more than 900 survey participants during late 2006. 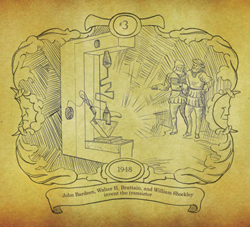 (The whimsical artwork for the top ten was created by David Rasel in the style of Georgius Agricola's volume De Re Metallica, which is Moment 30). 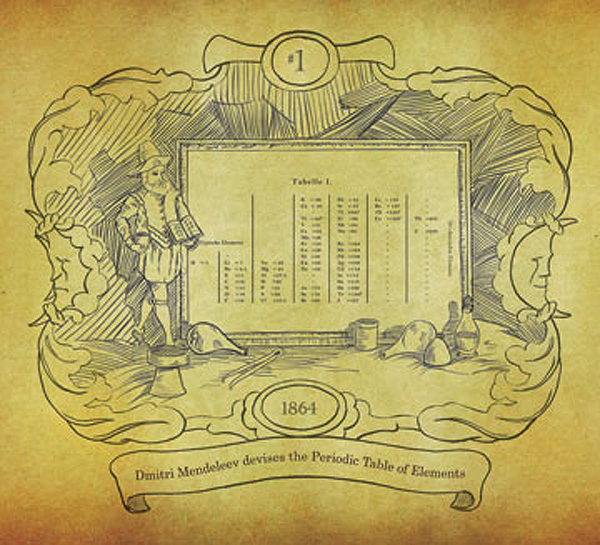 Dmitri Mendeleev devises the Periodic Table of Elements. Introduces the ubiquitous reference tool of materials scientists and engineers. Egyptians smelt iron (perhaps as a by-product of copper refining) for the first time, using tiny amounts mostly for ornamental or ceremonial purposes. Unlocks the first processing secret of what will become the world's dominant metallurgical material. 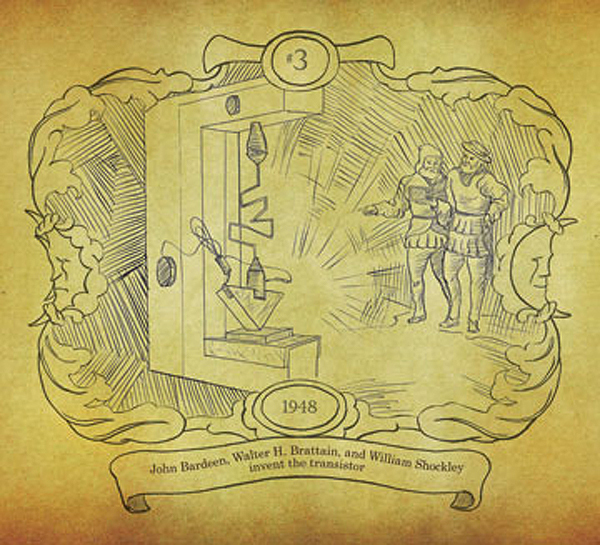 John Bardeen, Walter H. Brattain, and William Shockley invent the transistor. Becomes the building block for all modern electronics and the foundation for microchip and computer technology. 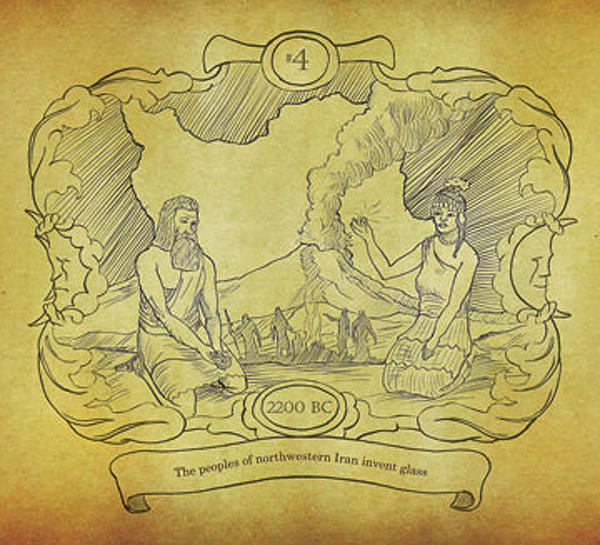 The peoples of northwestern Iran invent glass. Introduces the second great nonmetallic engineering material (following ceramics). 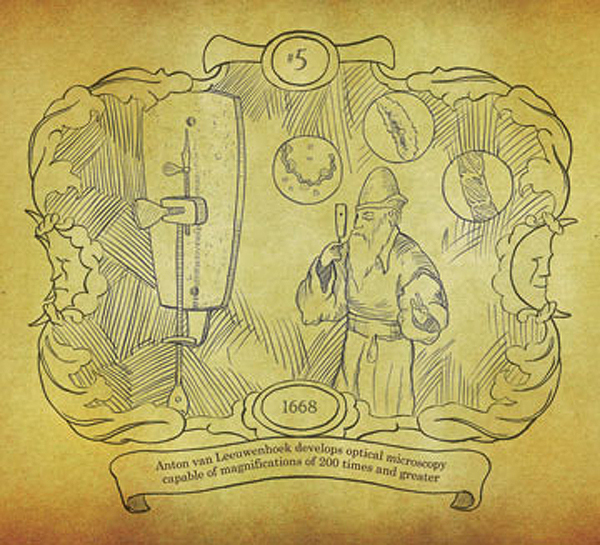 Anton van Leeuwenhoek develops optical microscopy capable of magnifications of 200 times and greater. Enables study of the natural world and its structures that are invisible to the unaided eye. 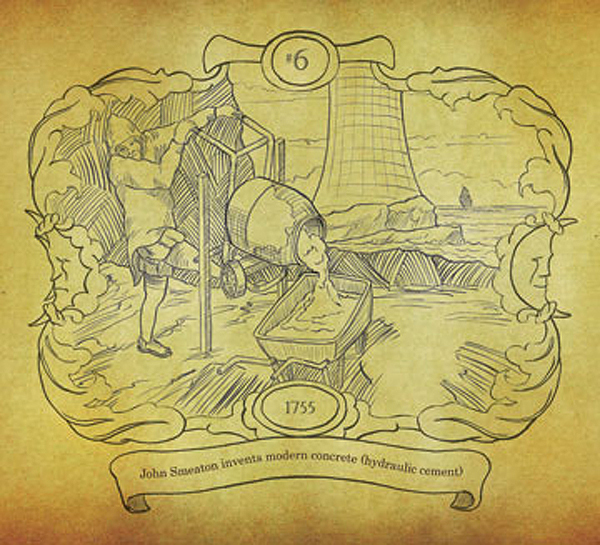 John Smeaton invents modern concrete (hydraulic cement). Introduces the dominant construction material of the modern age. Metal workers in south India develop crucible steel making. 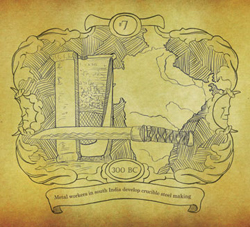 Produces "wootz" steel which becomes famous as "Damascus" sword steel hundreds of years later, inspiring artisans, blacksmiths, and metallurgists for many generations to come. In and around modern Turkey, people discover that liquid copper can be extracted from malachite and azurite and that the molten metal can be cast into different shapes. Introduces extractive metallurgy--the means of unlocking the Earth's mineralogical treasures. Creates means to characterize crystal structures and inspires W.H. 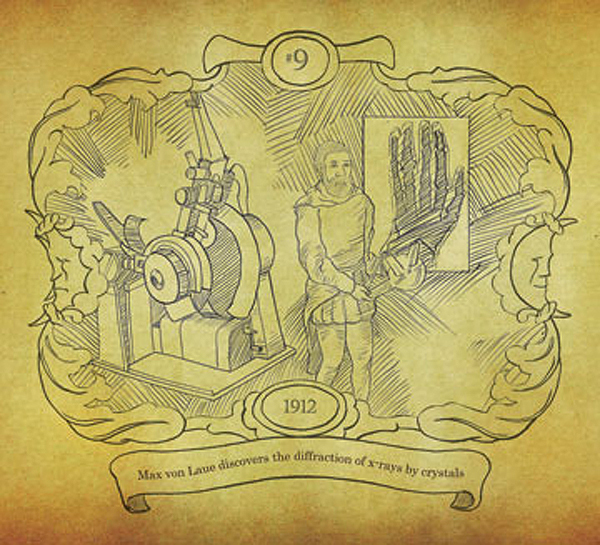 Bragg and W.L Bragg in developing the theory of diffraction by crystals, providing insight into the effects of crystal structure on material properties. 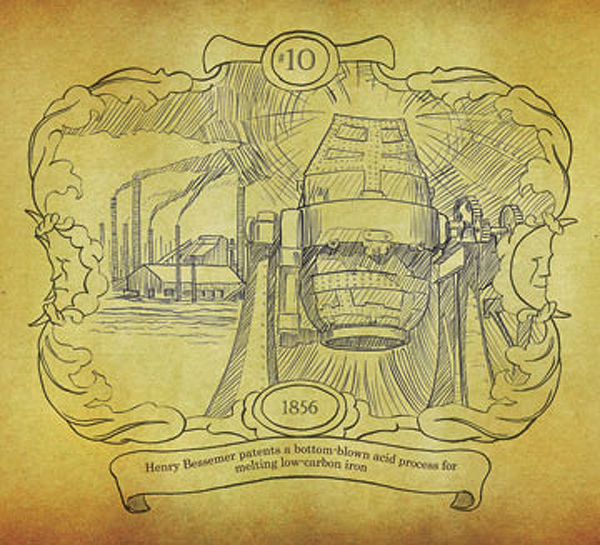 Henry Bessemer patents a bottom-blown acid process for melting low-carbon iron. Ushers in the era of cheap, large tonnage steel, thereby enabling massive progress in transportation, building construction, and general industrialization. J. Willard Gibbs publishes the first part of the two-part paper "On the Equilibrium of Heterogeneous Substances." Provides a basis for understanding modern thermodynamics and physical chemistry. The earliest fired ceramics--in the form of animal and human figurines, slabs, and balls--(found at sites in the Pavlov Hills of Moravia) are manufactured starting about this time. Introduces materials processing. Iron smiths forge and erect a seven meter high iron pillar in Delhi, India. 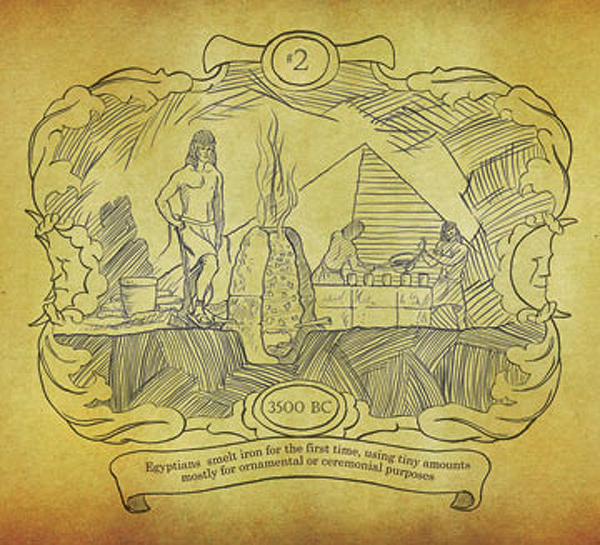 Defies deleterious environmental effects for more than one and a half millennia, creating an artifact of long-standing materials science and archaeological intrigue. Pierre and Marie Curie discover radioactivity. Marks the beginning of modern-era studies on spontaneous radiation and applications of radioactivity for civilian and military applications. 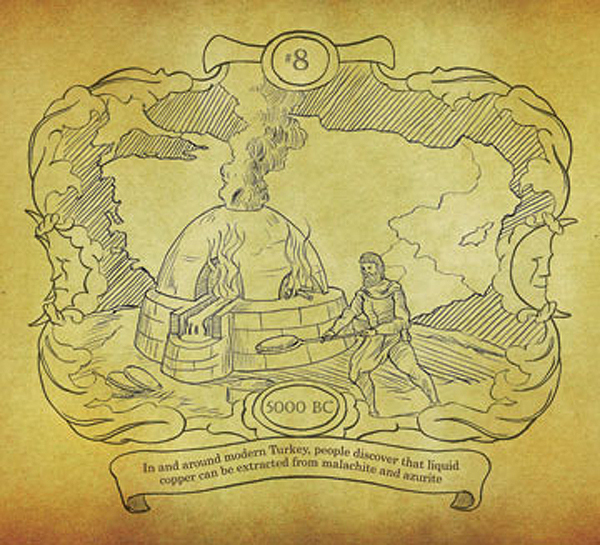 Charles Goodyear invents the vulcanization of rubber. Enables enormous progress in the transportation, electricity, manufacturing, and myriad other industries. 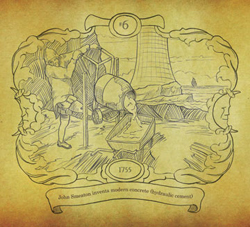 William Roberts-Austen develops the phase diagram for iron and carbon. Initiates work on the most significant phase diagram in metallurgy, providing the foundation for the indispensable tool for other material systems. Werner Heisenberg develops matrix mechanics and Erwin Schrödinger invents wave mechanics and the non-relativistic Schrödinger equation for atoms. Forms the basis of quantum mechanics. Metal workers in the region of modern Syria and Turkey discover that addition of tin ore to copper ore before smelting produces bronze. Establishes the concept of metals alloying--blending two or more metals to create a substance that is greater than the sum of its parts. Johannes Gutenberg devises a lead-tin-antimony alloy to cast in copper alloy molds to produce large and precise quantities of the type required by his printing press. 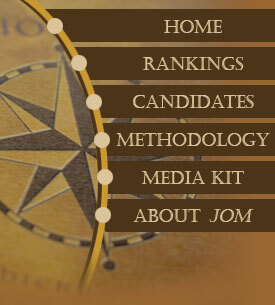 Establishes the fundamental enabling technology for mass communication. Niels Bohr publishes his model of atomic structure. Introduces the theory that electrons travel in discrete orbits around the atom's nucleus, with the chemical properties of the element being largely determined by the number of electrons in each of the outer orbits. Augustin Cauchy presents his theory of stress and strain to the French Academy of Sciences. Provides the first careful definition of stress as the load per unit area of the cross section of a material. Otto Hahn and Fritz Strassmann find that they can split the nucleus of a uranium atom by bombarding it with neutrons Establishes nuclear fission and leads to applications in energy and atomic weapons. Egon Orowan, Michael Polyani, and G.I. Taylor, in three independent papers, propose that the plastic deformation of ductile materials could be explained in terms of the theory of dislocations. Provides critical insight toward developing the modern science of solid mechanics. Chinese metal workers develop iron casting. Introduces the primary approach to manufacturing iron objects for centuries in China. Cambridge Instruments introduces a commercial scanning electron microscope. Provides an improved method for the high-resolution imaging of surfaces at greater magnifications and with much greater depth of field than possible with light microscopy. Leon Guillet develops the alloying compositions of the first stainless steels. Expands the versatility of steel for use in corrosive environments. Max Knoll and Ernst Ruska build the first transmission electron microscope. Accesses new length scales and enables improved understanding of material structure. Metal workers in the Near East develop the art of lost-wax casting. Establishes the ability to create and replicate intricate and complex metallurgical structures. Georgius Agricola publishes De Re Metallica. 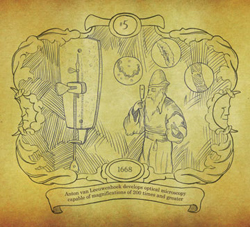 Provides a systematic and well-illustrated examination of mining and metallurgy as practiced in the sixteenth century. 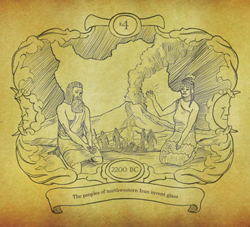 Glass blowing is developed, probably somewhere in the region of modern Syria, Lebanon, Jordan, and Israel--most likely by Phoenicians. Enables the quick manufacture of large, transparent, and leak-proof vessels. Sir Humphry Davy develops the process of electrolysis to separate elemental metals from salts, including potassium, calcium, strontium, barium, and magnesium. 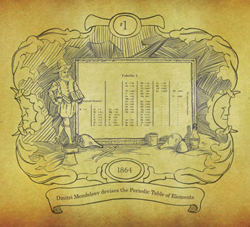 Establishes the foundation for electrometallurgy and electrochemistry. 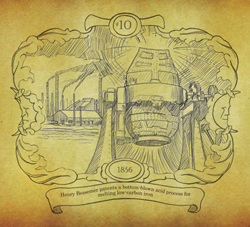 Abraham Darby I discovers that coke can effectively replace charcoal in a blast furnace for iron smelting. Lowers dramatically the cost of ironmaking (enabling large-scale production) and saves regions from deforestation. Hermann Staudinger publishes work that states that polymers are long chains of short repeating molecular units linked by covalent bonds. Paves the way for the birth of the field of polymer chemistry. Russell Ohl, George Southworth, Jack Scaff, and Henry Theuerer discover the existence of p- and n-type regions in silicon. Provides a necessary precursor to the invention of the transistor eight years later. Sumio Iijima discovers nanotubes, carbon atoms arranged in tubular structures. Creates expectations of important structural and nonstructural applications as nanotubes are about 100 times stronger than steel at just a sixth of the weight while also possessing unusual heat and conductivity characteristics. Alfred Nobel patents dynamite. Proves of immeasurable assistance in conducting large-scale mining. Jack Kilby integrates capacitors, resistors, diodes, and transistors into a single germanium monolithic integrated circuit or "microchip." Makes possible microprocessors and, thereby, high-speed, efficient, convenient, affordable, and ubiquitous, computing and communications systems. The earliest form of metallurgy begins with the decorative hammering of copper by Old World Neolithic peoples. Leads to the replacement of stone tools with much more durable and versatile copper ones. Friedrich Wöhler isolates elemental aluminum. Unlocks the most abundant metallic element in the Earth's crust. Kammerlingh Omnes discovers superconductivity while studying pure metals at very low temperatures. Forms the basis for modern discoveries in low- and high-temperature superconductors and resulting high-performance applications. Potters in China craft the first porcelain using kaolin. Begins a long tradition of exceptional craftsmanship and artistry with this class of ceramics. Leo Baekeland synthesizes the thermosetting hard plastic Bakelite. Marks the beginning of the "plastic age" and the modern plastics industry. Paul Merica patents the addition of small amounts of aluminum to Ni-Cr alloy to create the first "superalloy." Leads to the commercialization of the jet engine, along with increased efficiency for modern power turbine machinery. Henry Clifton Sorby uses light microscopy to reveal the microstructure of steel. Leads to the use of photomicrography with metals and the science of metallurgy. Wallace Hume Carothers, Julian Hill, and other researchers patent the polymer nylon. Greatly reduces the demand for silk and serves as the impetus for the rapid development of polymers. Luigi Brugnatelli invents electroplating. Originates the widely employed industrial process for functional and decorative applications. Richard Feynman presents "There's Plenty of Room at the Bottom" at a meeting of the American Physical Society Introduces the concept of nanotechnology (while not naming it as such). Adolf Martens examines the microstructure of a hard steel alloy and finds that, unlike many inferior steels that show little coherent patterning, this steel had many varieties of patterns, especially banded regions of differently oriented microcrystals. Initiates the use of microscopy to identify the crystal structures in metals and correlate these observations to the physical properties of the material. A.A. Griffith publishes "The Phenomenon of Rupture and Flow in Solids," which casts the problem of fracture in terms of energy balance. Gives rise to the field of fracture mechanics.